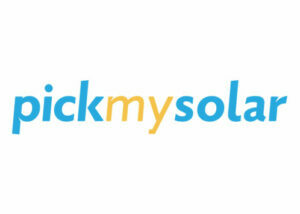 Pick My Solar has developed an online hub to help homeowners to go solar. The site walks a user through online education and a simple registration process that creates a project for for certified, vetted installers to place bids on. After a set period, the bidding process ends and bid analysis is carried out through a proprietary algorithm. The final three bids selected presented in a user friendly format to allow a homeowner to understand the advantages of each bid. The homeowner then has the opportunity to select a bid on the site and e-sign a contract directly with the installer. It helps homeowners feel safe ‘going solar’ and removes the risks created by unscrupulous installers ripping off their customers. It creates competition among installers, incentivizing them to offer the best costs to homeowners. It reduces soft costs for installers involved in customer acquisition by removing the hefty commission paid to solar salesmen, cutting wasted spending on leads that don’t produce, and cutting the high costs of advertising and marketing. It standardizes contracts between installers and customers making apple to apple comparisons easy. It uses algorithmic technology created to automate bid assessment. It streamlines site assessment with new shade analysis technology and customer bill acquiring means. Over 100 reputable solar installers, recognizing the value in Pick My Solar’s ability to lower their soft costs in customer acquisition, have joined the bidding network. Homeowners receive solar bids at 20% below market-value on average. The market-value in California is around $6/watt. All of the bids Pick My Solar presents are less than $4/watt. Pick My Solar has secured channel partnerships with large organizations, including Con Edison New York, Massachusetts Clean Energy Center, and SolarEdge, to offer a white-labeled solar comparison platform to their constituents. In Spring 2017, Pick My Solar expanded it’s marketplace offerings to include home batteries that pair with solar arrays to provide backup power through grid outages.